If you have any questions on which training session is right for you CONTACT COACH BRIX today! 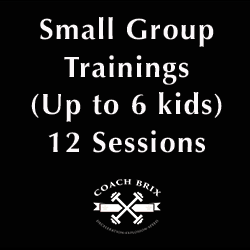 Private group training is for the athlete(s) who needs specific one-on-one training. They will get a personalized routine designed specifically to meet their needs. Contact Coach Brix with questions and for more information.